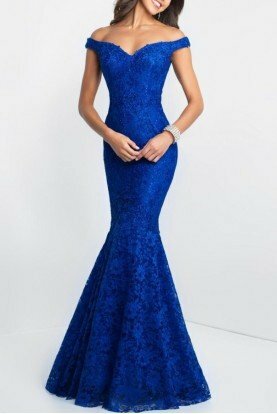 Perfect as a Mother of the Bride or Mother of the Groom dress. Wow everyone at the soiree in this beautiful gown form Mon Cheri MCE11644 Evenings. This dress is off-the-shoulder with lace overlay throughout. 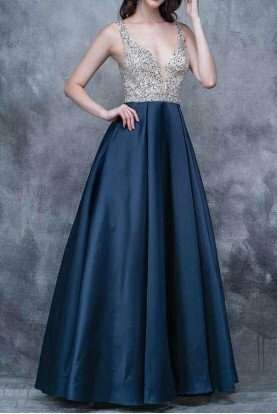 This dress has a fitted bodice with sparkling stones at the waist. The skirt is fitted and reveals a decadent mermaid silhouette with tulle fabric at the full length.